Sally was born and raised in the northwest suburbs of Chicago. She graduated from Loyola University of Chicago with a degree in biology. During college, Sally worked as a veterinary assistant at a small animal clinic, where she first started working when she was 16 years old. She also worked in a bioinformatics research lab during her gap year between college and veterinary school and has volunteered at multiple animal shelters in the Chicagoland area. Sally first traveled with Loop Abroad to Thailand in 2015 and has since traveled with Loop to South Africa and Australia. 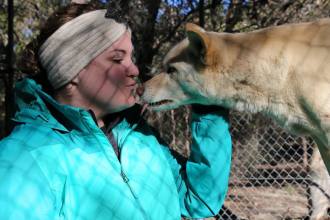 She is passionate about Loop’s mission to provide hands-on experiences for students while also remaining committed to global animal welfare, and she is excited to give back to the program and help teach the next generation of students as a Trip Leader. Currently, Sally is a student at the University of Wisconsin-Madison’s School of Veterinary Medicine. Sally is involved in multiple clubs at school and serves on the executive boards for the Wildlife/Exotic/Zoologic/Avian Medicine (WEZAM) Club, Feline Club, and Veterinary Medical Outreach Organization. 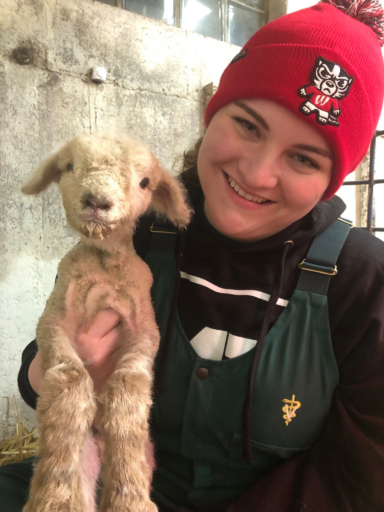 Sally also works as a student surgical technician in the UW-SVM teaching hospital and occasionally returns home to work at the clinic where she first started her journey in veterinary medicine. Outside of school, Sally likes to hang out with her cats, Max and Tinkerbell, and her friends and family. She enjoys going to concerts with her fiance, working out, and daydreaming about her next adventures abroad.